Bhubaneswar is also called the cathedral city... in fact. It is said that at one time over 7000 temples crowded around the holy Bindu Sagar tank alone. Today, about 500 remains, of which, some are, perfection personalised. The city is studded with modern architecture. 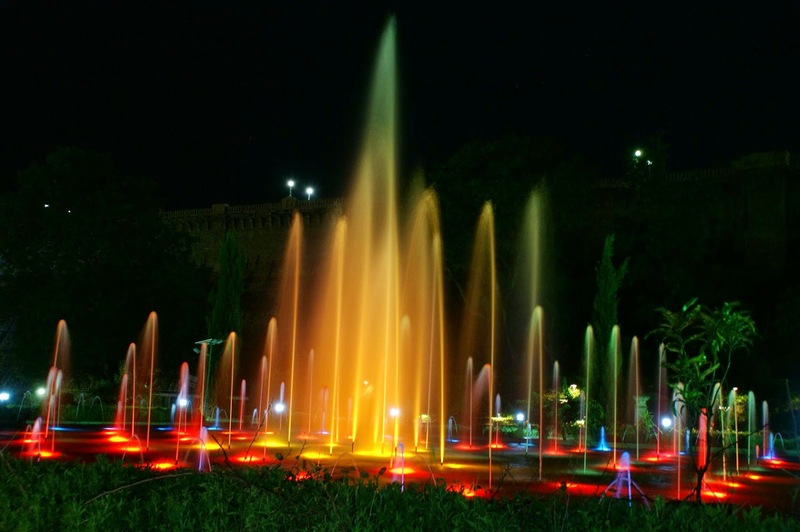 Its towering parks, state museum, university and Rabindra Manadap contrast with the monuments of the old city and occasionally echo their influence. The largest temple here is the 11th century Lingaraj Temple which exhibits temple art of several centuries. The temple is the culmination of architectural beauty and sculpted elegance. Shiva is the presiding deity but almost all the Hindu gods and goddesses are represented. Dating back to the 11th century, the raja Rani temple is an elegant example of Great finesse in temple art and architecture. The sensuous beauty of the female form and the filigree sweetness of flowers and fruits are enhanced by the artist’s dexterous skill. Lack of a temple deity and celebration of the female form are some intriguing aspects of this temple. Considered as the Gem of Orissa temple architecture, Mukteswar temple is a 10th century monument. It is famous for the stone arch and fine sculptures depicting stories from Panchatantra. A small but richy decorated Parsurameswar Temple of 7th century AD is a shrine of Shiva situated close to Mukteswar Temple. Vital temple is architecturally striking and its art mature and elegant. The presiding deity is the eight-armed Chamunda (Kali). Iskcon Temples is another contemporary temple is Krishna Balram temple, built in 1991. The main festival is the Car festival like Ratha Yatra of Lord Jagnnath. Apart from this temple, Bhubaneswar also has three very good museums. The Orissa State Museum has a rich collection of sculpture, coins, copperplates, stone inscriptions, lithic and bronze-age tools, rarae palm leaf manuscripts and traditional folk and musical instruments. The other is the Regional Museum of natural History near Planetarium. Another unique one is the Tribal Museum at CRPF square Patani Samant Planetarium has special attraction for tourists, scientists. The Planetarium remains open every day except Monday. Daily programme Orissa Regional Science Center is also a special attraction for scholar, scientists, and students and for children. It has a special attraction of 3-dimensional Film show, Motion Gallery, Indect Gallery, Funsile Gallery, Science Park, and pre historic Life Park. Regional Plant Resource Ceter (Ekamra Kanan) is Sprwaling over a lage area; it has an artificial lake, vast stretch of lawn, colrful seasons and flowers, 3 fountains-Musical fountains, and Finger get fountains.